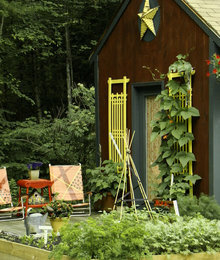 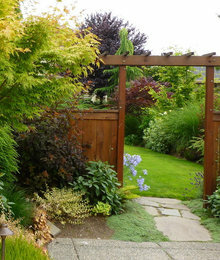 Arbors vs. Trellises: What's the difference? 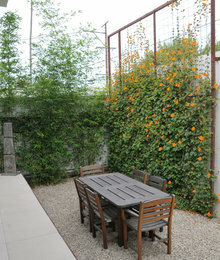 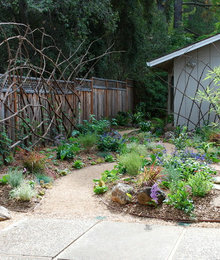 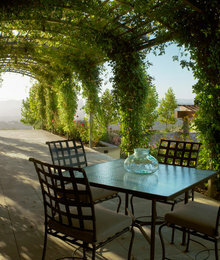 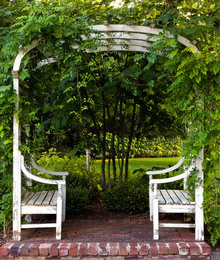 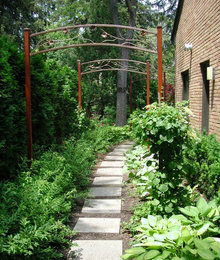 Arbor: I look at an arbor as sort of a cross between the trellis and the pergola. 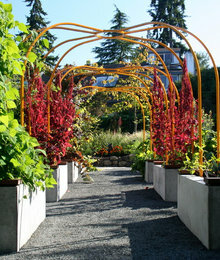 It is generally a three-sided structure consisting of trellised panels on either side, and then an arch, gable, or pergola-like top comprised of wood beams. 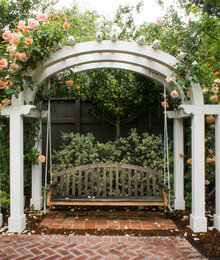 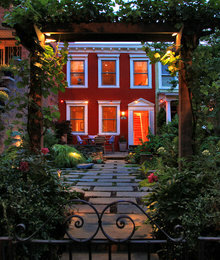 It usually serves as an entry point or passage into a garden or yard. 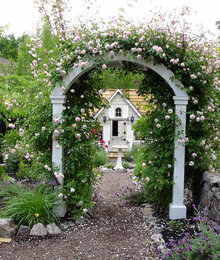 Most simply, it’s smaller than a pergola but shelters to a similar extent.